We're passionate about sweet potatoes and our farmers who grow them. Our farmers are the extension of our McCain family and we work closely with them to ensure sustainable farming is at the heart of what we do. Made from delicious potatoes for everyone to enjoy! 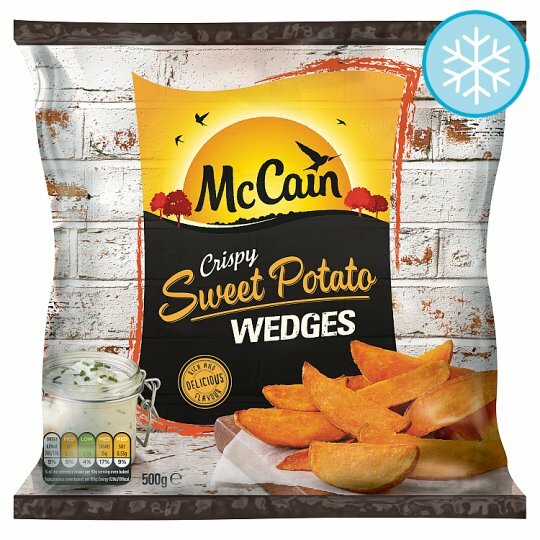 Oven cook (From Frozen): Here's how to cook 500g of McCain Sweet Potato Wedges. If cooking a different amount, adjust the cooking time accordingly. Bake for 30 - 32 minutes, turning them every now and again, until they're lovely and crisp.